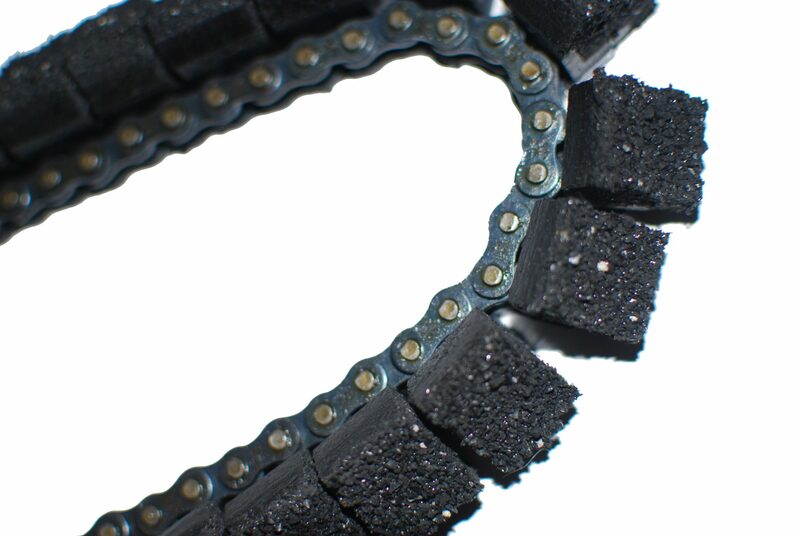 The Aries Style 51 Cleat Gritted Tracks – #35 Chain (Pair) attaches to your sewer camera transporter to assist it in moving through your pipes. The sewer camera inspection process is vital to the success of your company which is why we specialize in selling sewer camera transporter equipment. Sewer camera inspections are conducted at almost every property you service which means that your sewer camera needs to be running consistently every day. The real-time footage sewer camera transporter shows imperfections within pipe systems like breaks, blockages, clogs, cracks, and corrosion. 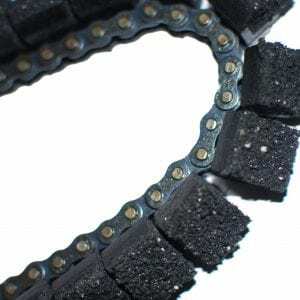 In addition, the Aries Style 51 Cleat Gritted Tracks – #35 Chain (Pair) allows your crawler to move through a variety of materials from PVC and concrete to HDPE and orangeburg. At TruGrit Traction, all of our products are affordable and made of high-quality materials. 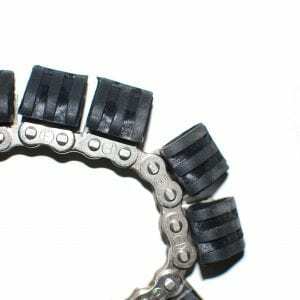 The Aries Style 51 Cleat Gritted Tracks – #35 Chain (Pair) will gain you more traction and save you money. This product pertains to: Sewer and Drain Camera Inspection Equipment, Pipe Inspection Equipment, Residential, Commercial, and Municipal Pipe Inspection Equipment, Trenchless Pipe Lining Equipment, Pipe Bursting Equipment, Large Diameter Pipe Inspection Equipment, Sewer Camera Inspection Replacement Parts, Sewer Crawler Track Replacement, Sewer Camera Transporter Gritted Tracks, Aries Style Camera Transporter Equipment, Sewer Main Inspection Equipment, and Water Main Inspection Equipment.